True Rx’s clinical team will review claims data to identify members who may be excessively using controlled substances. After identification of these members, a pharmacist will reach out to the prescribing physicians to ensure that they are aware of the member’s fill history and our pharmacists concern about the possible misuse of these potentially dangerous medications. These interventions will save clients overall costs by reducing the number of adverse effects and possible overdoses for these medicines. The clinical team will review any new medications that are released into the market to determine whether they provide an additional benefit over existing, less-expensive medications already available. If the new medication has minimal benefit over existing medications, True Rx will place this medication on Formulary Guard which will require a Prior Authorization from the physician in order for this medicine to process for the member. This will reduce prescription costs by ensuring the most cost-appropriate therapy is being utilized by the members. 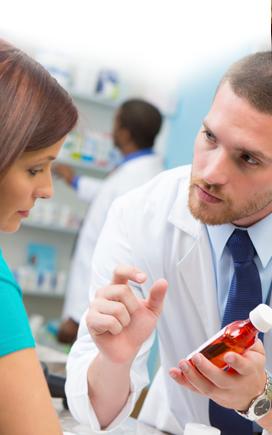 True Rx’s pharmacists review any claim for any high priced compounded medication. These claims will be reviewed for price gouging. If the compounding pharmacy is submitting an excessive price for a prescription, True Rx will negotiate to get the prescription at a reasonable price. The pharmacists will also review the claim for clinical appropriateness and may require a prior authorization from the physician. True Rx reviews adherence reports in order to identify members who are not taking their medications consistently as prescribed by their physicians. The pharmacist will reach out to these members in order to help educate them about the importance of taking medications as prescribed in order to help their overall health. Plan costs will decrease as adherence improves because the health of the members will improve when their medication is taken appropriately and consistently.